Everyone’s wedding day will be different. Whilst, some people prefer only adults to attend the ceremony and reception, others will invite children to celebrate the whole of their big day. If you are having children as part of your ceremony, keep reading. Here at Verona Couture, we have put together a list of tips to help you keep the little ones happy throughout the day. No one likes to feel uncomfortable, but when a child feels uncomfortable, they’re most likely to let you know – and not always at the most convenient time or in the most appropriate way. 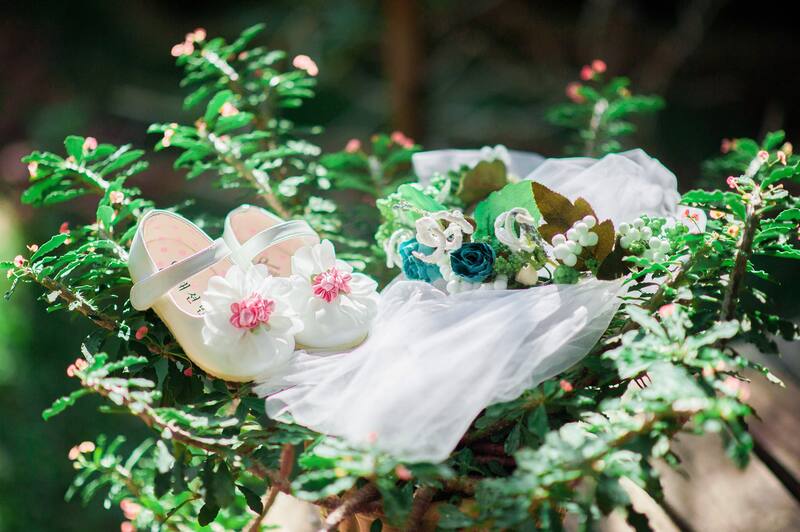 If you’re including children as flower girls, bridesmaids or page boys, make sure their attire is age appropriate and comfortable. If the ceremony will travel through to the evening, consider bringing (or asking the children’s parents to bring) a change of clothes for the little ones – changing from a shirt to a t.shirt or adding tights to a dress can make all the difference. Most children love the idea of a wedding – getting dressed up, partying and having fun pictures taken is a hoot. However, young children do not have a long attention span and may become disgruntled as the day goes on. Where you can, try and give little “jobs” to the children attending the ceremony – could they hand out the programmes or confetti? Perhaps they could sing a special song or perform a reading alongside an adult guest? Although you may have an image of your lovely niece scattering petals down the aisle, it’s always wise to have a plan B, just in case a sudden bout of shyness creeps in. Remember, your day will be perfect regardless, so try not to let little hiccups make you feel flustered. To help things run smoothly, you may want parents with young children to be seated at the end of an aisle, in case they need to leave suddenly during the ceremony. Not only will they appreciate this, your other guests will too. Here at Verona Couture, we have been helping brides find the perfect wedding dress to complement the style of their big day for many years. To book an appointment, call today or use our online booking form. We look forward to seeing you soon.